20 years old in 2018, 20th Birthday, Perfect Present / Gift to celebrate a landmark Birthday. Year of Birth, Year you were born, Born in 1998. 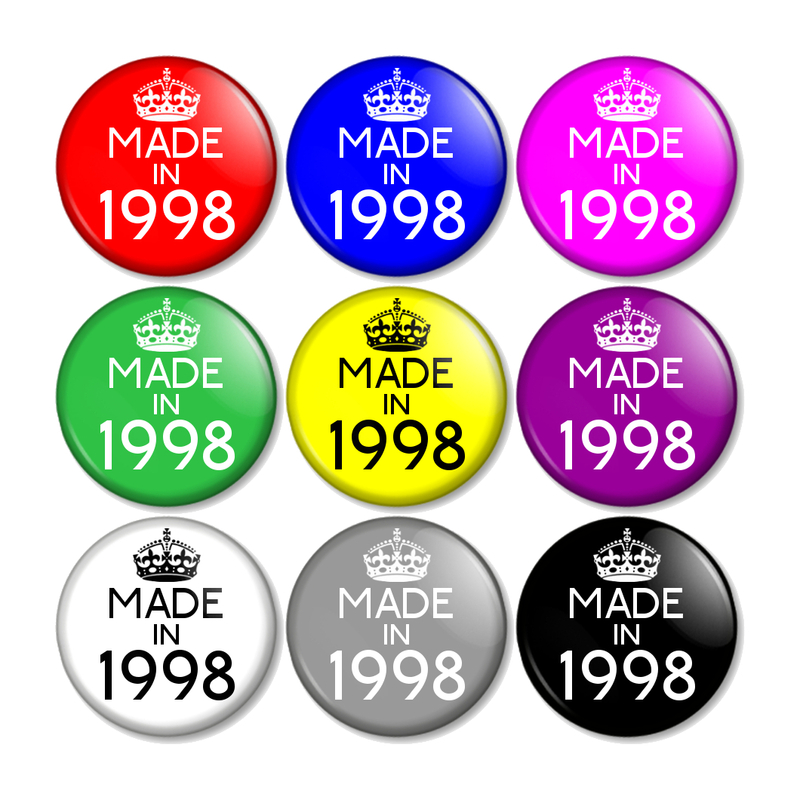 We also offer these badges for different years in our other listings – and can customise for you – just send us a message with your request on. I Want Badges are a UK based seller and we specialise in 1 inch/25mm pin button badges. If you like our designs and would like to order in bulk at a discount, please get in touch. I’m Jo, founder of Jolly Good Creations. I have been a professional graphic designer for 12 years, working in London on some amazing design projects. I always dreamed of having my own business and selling my designs! I always had a sketchbook handy on my long early morning commute into London. Finally, I am my own boss and loving every minute of it! An exciting new chapter!